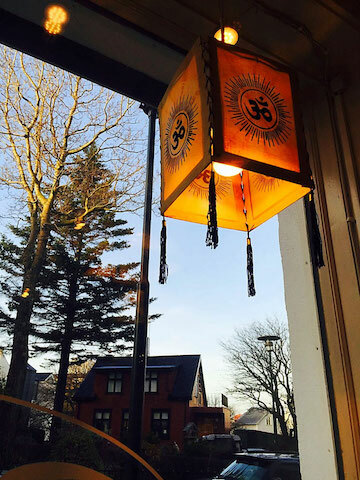 Garðurinn is a vegan and vegetarian restaurant in beautiful Reykjavik. This cozy little cafe has a calming and peaceful atmosphere. 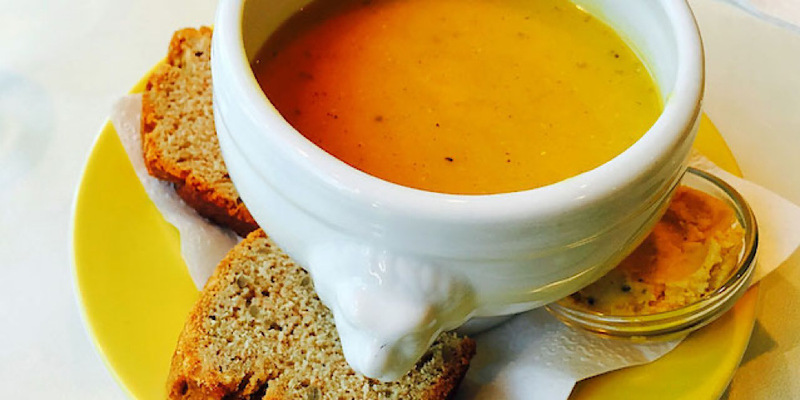 They serve fresh, healthy meals inspired by both Icelandic and European cuisine. Their menu is different every day because they serve a soup and a dish of the day that you can get in a small or large serving size. 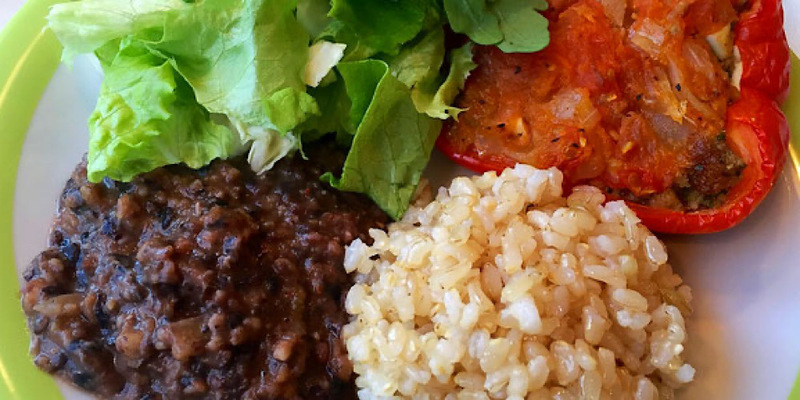 On my visit, the dish of the day was a savory stuffed pepper meal served with lentils, rice and salad. The soup of the day was a very flavorful vegan Turkish bean soup, served with thick, chewy bread and a side of hummus. I also had a lusciously creamy soy latte. Other appetizing goodies you can find at Gardurinn are homity pie, nut loaf, vegetable curry, vegetable korma, chili, and more. Soup flavors include such yummy combinations like beetroot with coconut milk, Bengali lentil and tomato, sweet and sour Texas soup, carrot and spinach and the classic pumpkin. 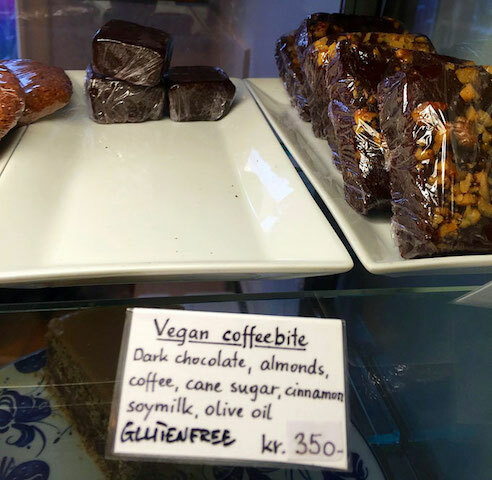 Gardurinn also makes very enticing vegan (and gluten-free) treats and desserts! Wow, so many cakes, cookies, and brownies! 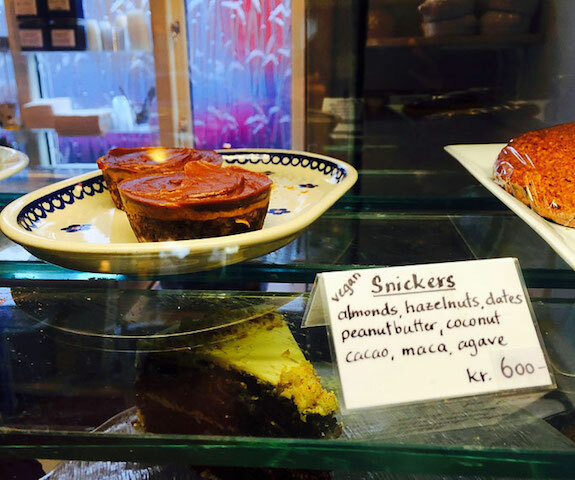 I had to try the vegan snickers, which was a decadent explosion of chocolate and peanut butter! 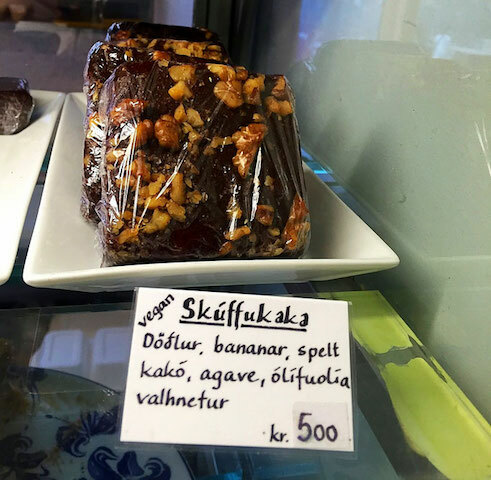 I also drooled over the very delictable-looking dark chocolate coffee bites and chocolate Skúffukaka (Icelandic brownies) with walnuts. Yum. My meal was phenomenally delicious. You know when a meal is so good that you feel good after eating it? That kind of good. One daily meal really cuts down the normal indecision I always get when staring at huge menus with way too many options. Since the menu changes daily, you could eat here every day and never get bored. And, all the desserts! All of them! 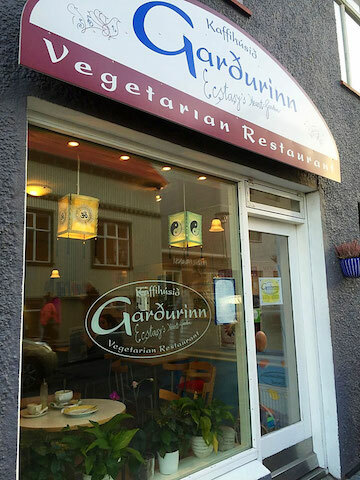 Gardurinn is located at Klapparstigur 37 in the delicious foodie city of Reykjavik.